If you are like me (or even most of us), you have probably wondered “What is my calling in life?” or “What is God’s plan for my life?”. You may even be struggling with that right now. 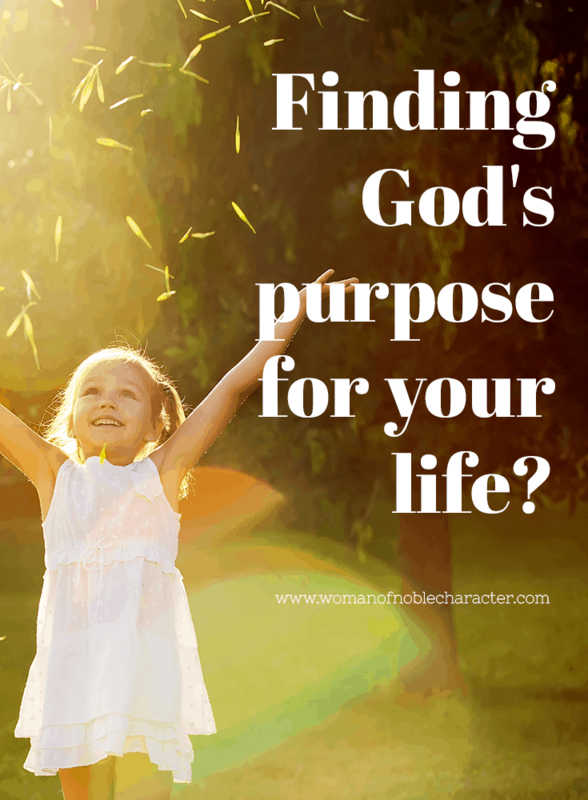 At some point in our lives, these are questions we all ask ourselves and, often pray about. God has called you His for a reason. He has a plan for you on earth and in eternity. Your calling may not be immediately clear to you, but God wants to show you, through the Holy Spirit, what His plan is for you. I’ve often thought how great it would be if we could email God. Crazy, right? But,if I could, I would thank Him for all He has done and ask Him, “How can I find my purpose on this earth?”. Our purpose, or our calling is one of the gifts that God gives to us as believers. Your true calling in life is using the talents and gifts that God has endowed you with to do great things for His Kingdom and in the lives of others. God has called all of us for works of service and to testify to the good news of His grace. What that looks like for each of us, however, will be a bit different. More on that to come. Talents are those things that God has given you that allow you to excel in certain areas, such as cooking, graphic design, math, writing, teaching and many others. Your talents are what allow you do be successful in work and ministry. They represent natural skills you already have or can develop with practice. Gifts, are spiritual areas of life that God has blessed you with. Your gifts may include hospitality, administration, craftsmanship, discernment, evangelism and more. 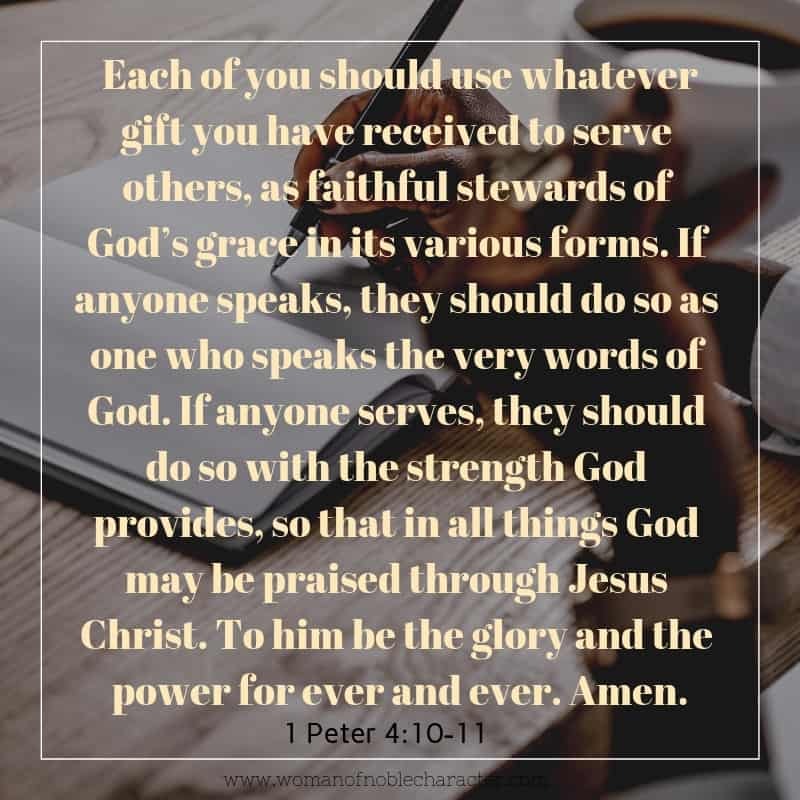 (You can learn more about identifying and using your spiritual gifts in this post). Each of this gifts, and we all have several or more, are given to us by God. These gifts help us to fulfill the calling that He has on our lives. Each of us is gifted in a unique way. Since God is the giver of these gifts, how well we use them and our success is completely depending on Him and how He uses them through us. 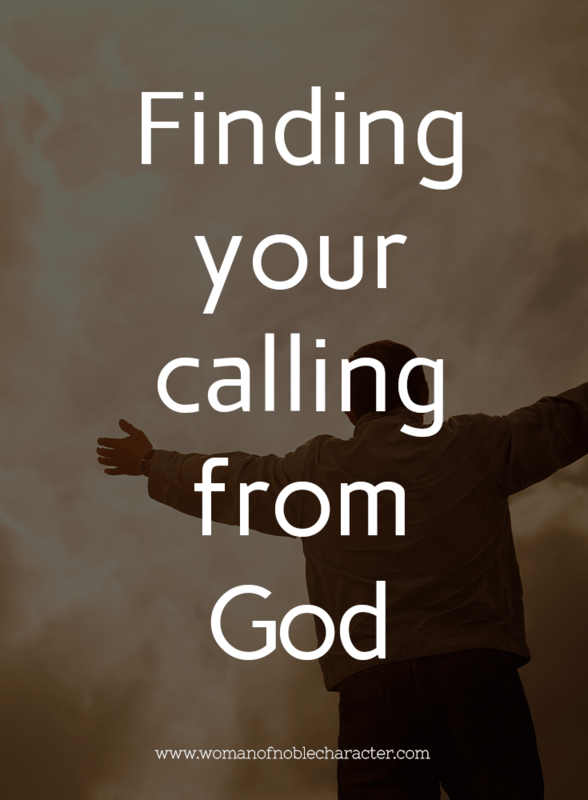 Before we dive into how to find your calling, let’s look at what your calling isn’t. By now we know that our calling is a combination of our talents and gifts used for His glory and to further His Kingdom. But, let’s examine what our calling is not. 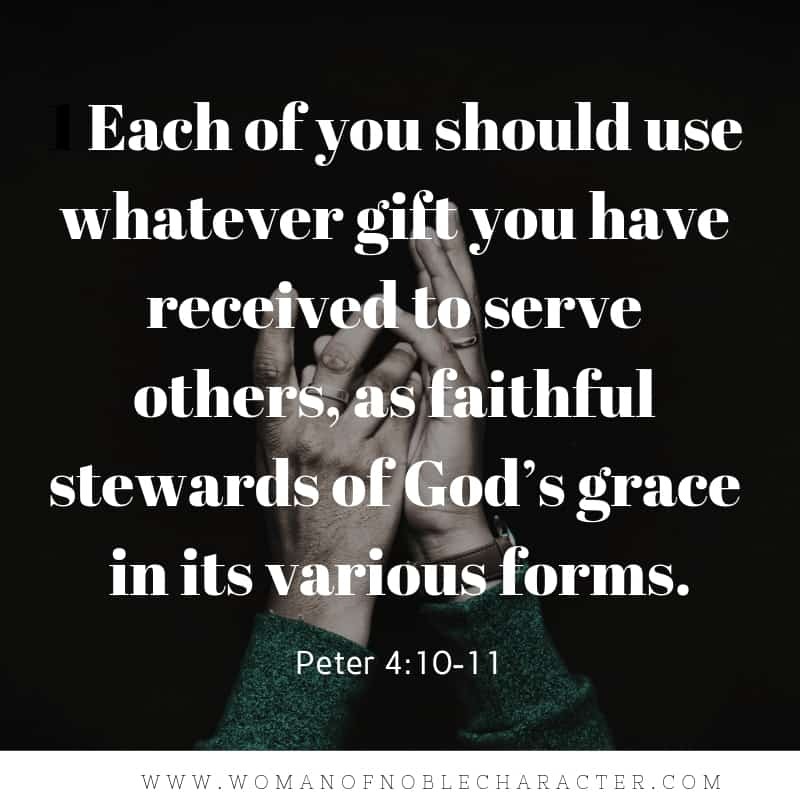 As mentioned above, we know that each of us are gifted uniquely and that those talents and gifts are from God, but we must understand that we are not called for personal success or gratification. We are called for God and His Kingdom. We are called for the good of others. (For additional reading on this, see 1 Corinthians 12:12–31 and 1 Peter 4:10–11). When choosing roles in the church or community or jobs, we aren’t too look for what can make us the most money or give us the most recognition. Not that either of those are bad, in and of themselves, but we are to seek those roles that allow God to work through us to serve others. Our society encourages self-centeredness. It is the “me generation”. We need to be seeking to use our gifts and talents not for our own status but looking for ways to be of the greatest service to others. Our talents and gifts, which we use for our calling, are not chosen by us. God endows us with these gifts and talents. We are called by Him. 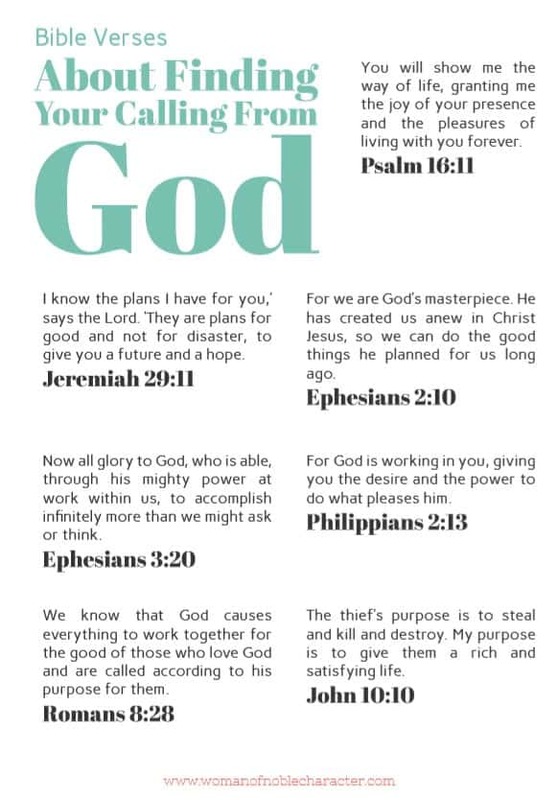 (Click the image below for a two page printable with Bible verses about finding your calling from God). Most of us confuse our work or job with our calling. While they may be one in the same for some (such as a pastor, missionary or full-time ministry leader), most of us have a job and we have a calling which might focus on the community, your church or your family. When considering how to find your true calling, be aware that it may not be the same as your job. Let’s take for example, the retiree, or stay at home mom. The retiree may be called as a deacon or elder, may feed the hungry or pray with and for those in nursing homes. The stay at home mom, may lead a homeschool group or devote herself to praying for others. Again, your job and your calling are not necessarily intertwined. Finding your purpose may or may not be job-related. For most, it is not. One note on this: Just because your calling and your profession are separate, you can use your job for God’s glory. I am a Human Resources Consultant. While I’m unable to overtly share the gospel in the course of my duties, I can model Christ-like behavior. I’ve written a bit out this in this post. Yes, we’ve covered this one, too, but it is so important to repeat. We don’t choose our calling, God calls us how He sees fit in accordance to His plan for us. God loves us more than we can ever fathom. He guides us and cares for us according to His plan in our lives. When we face decisions on where to live, what profession to enter or change or even the church we attend, we can plan all we want, but God establishes our steps and as He does, He defines our calling. As we serve others, we find our callings with, by, and in serving others. As you serve others and receive feedback, correction, confirmation and affirmation and additional opportunities, know that Abba has “created in Christ Jesus to do good works, which God prepared in advance for us to do”. We perform these good works where and how we are called and in different seasons of our life. We’re not called to do everything. Each of us, just as we are gifted uniquely, have different callings. We find and refine our callings with, by, and through serving others. And we fulfill our callings as others fulfill theirs. Our calling may be fluid. God, in His ultimate design, places us in different seasons of life. I know that throughout my life, I’ve been single, married, widowed. I’ve lived in NJ and MO. I’ve worked full-time and been a stay at home, homeschooling mom. I’ve worshiped in Catholic and non-denominational churches. Each places, each season, is ordained by God. While it is fine to set goals and plan for the future, instead of worrying about tomorrow (or next week or year), remember that God has you just where He wants you in this season of life. As you navigate this current season of life, be sure to place emphasis on faithfully serving the Him where he’s placed you until he makes it clear what His plan is for you. Jehovah Rohi, may change your circumstances or your desires to guide you to another calling. Today’s calling may not be tomorrow’s calling from God. Calling is a journey rather than a destination, just as our lives are ever-changing and we, change as people as He grows and refines us. It’s easy to look at your to-do list (the mountains of laundry piling up, the taxes that need to be filed, the errands that need to be run, etc.) and be overwhelmed – even question your calling from God. I encourage you, however, to serve in these seemingly small tasks, with a glad heart. He will reveal your calling to you in each season of your life. What the future holds is not ours to determine. It is in Father God’s hands. One of the key parts in the process of spiritual growth, however is to pray for and identify our unique callings. This video is a bit long. It’s a sermon from Elevation Church’s Steven Furtick, but well worth the watch. If you simply don’t feel fulfilled, you are not living out your calling. Fulfillment is a feeling that stems from doing meaningful, purposeful things. Your fulfillment may come from a thriving relationship to enjoying hobbies that you are passionate about. Or, your fulfillment may derive from a job that uses your talents and skills. 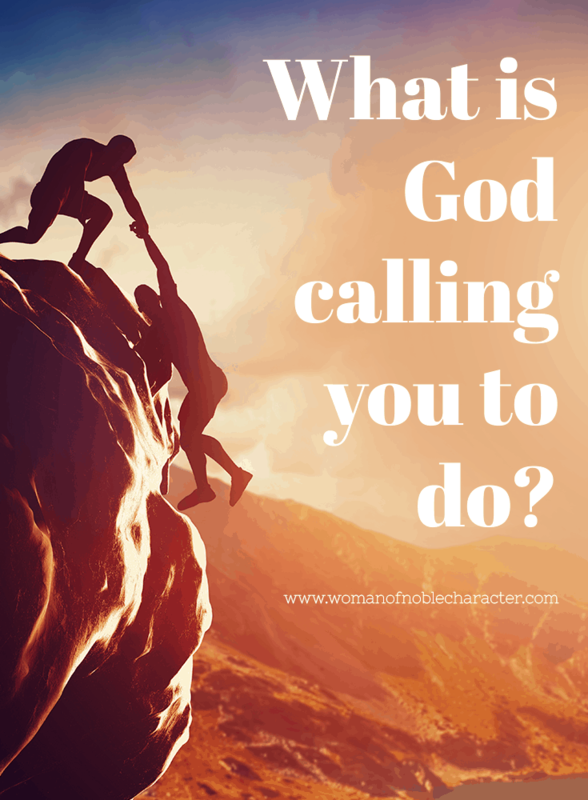 Of course, life has its share of boring tasks and days, but if every area of your life makes you feel unfulfilled, it’s time to ask God to reveal your calling to you. This one may sting a bit, sister. But, if you are openly disobeying God’s commands, you are not living out the purpose that God has for you. It’s a slippery slope and the longer you purposely sin, the longer you will go avoid God’s calling in your life. Similar to feeling fulfilled, but, yet distinctly different. If you feel stuck, you know that you want more from life but don’t have clear direction. You feel that you are not living according to God’s purpose for you, but can’t put your finger on what is making you feel this way. You may feel trapped or unsure. When trying to identify God’s plan for you, you may have no idea where to start. I recommend several things to help you with this. Before you can begin to understand who you are and what you are called to do, you have to truly understand who God is. Now, if you have been a believer for some time, you may already have a good picture of our Heavenly Father and that’s great, but bear with me for a moment. While Jesus came to earth as man, God is not made in our image. We are made in His. If we were created by Him, each unique and by His workmanship, we can’t really know who we are unless we know and understand Him, first. How do you do that? By spending time in fellowship with Him. Reading the Word. Praying. Being still and listening for His voice (this is the toughest one for me) We must allow His Spirit to fill us and to reveal His truth to us. He loves you more than you can fathom. He is good, just, compassionate, merciful. He is all this and so much more. Take some time to get to know our great friend, our Father Abba, our Heavenly King. Once you know Who God is and revel in those truths, you will be changed. When the Holy Spirit dwells in you, you will be closer to Who God has created you to be. We’re all a work in progress, but Knowing Him is the first step. We are all called to bear witness to Jesus and to build the Kingdom of God, but each of us is “assigned” a different role. THAT, is your unique calling. The second step is remembering who he says you are. God tells us, throughout His Word, who He has created us to be. Let’s look at a few of our God-given attributes. Your calling will use your talents and gifts, uniquely bestowed on you by God, but you must know who He created you to be in order to fulfill your calling on this earth. Ask the Holy Spirit to reveal Himself to you and show you the gifts God has given you and the ways He wants you to use them. Also, don’t worry about the future. Focus on today and do what you are currently doing until God shows you the next step. Spend time serving others and your calling will find you. You’ll know when you have found it because you will feel more energized, happier that you have ever been before. Through God’s perfect plan you will step into who God created you to be. I’m a visual learner. I learn better when I can write lists and see visuals. Perhaps you are this way, as well. Before you begin, pray about it, read scripture related to finding your calling from God and then spend some time exploring your talents, gifts and passions in a way that’s informed by God. As mentioned above, talents are those things you are good at. Maybe you already know your talents, maybe you don’t. Ask a few trusted friends and family members what they see as your talents. You may be surprised at their answers! You may have already done this exercise through your church or small group. If not, take a look at my post about identifying and using your spiritual gifts. 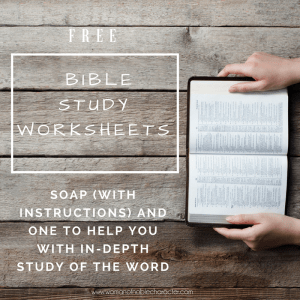 In the post, I share several sources where you can take a spiritual gifts assessment. I found my results to be eye-opening. 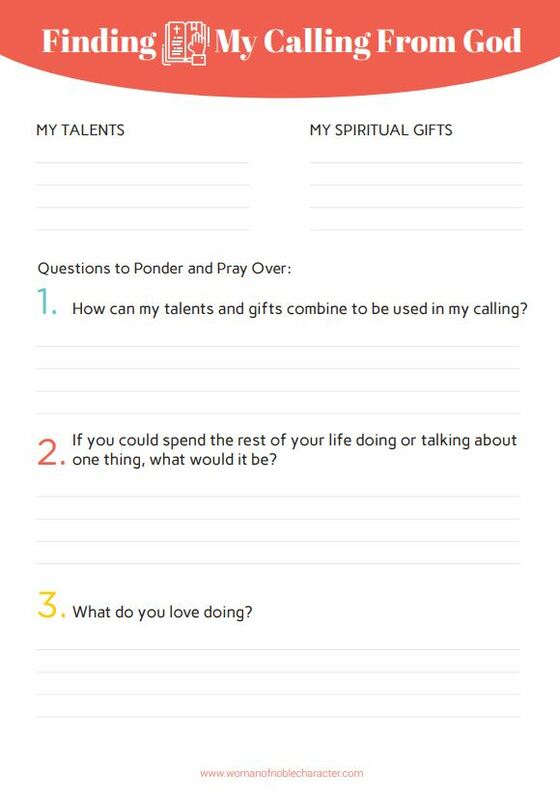 Use the worksheet and prayerfully answer the questions provided to help you find your calling from God. I’ve included blank space for you to journal what God reveals to you. God regularly reminds us to seek wise counsel when making decisions or struggling somewhere in life. 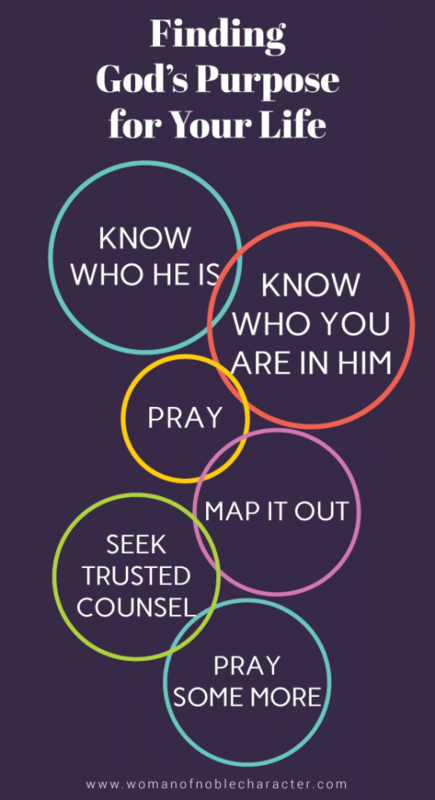 This can be as simple as talking with a trusted friend or family member or seeking professional Christian counseling. These wise counselors can help us find direction when things are not clear. Whomever you choose to discuss your calling from God with, ensure that they are strong in their faith and can provide the wisdom, discernment and support that you need. Seeking wise counsel can also include studying God’s Word and be informed by The Holy Bible. Prayer is one of the single most important things a believer can do. It is through prayer that we communicate with God. It is where we enjoy fellowship time with Him. Through prayer, we can openly share with God and listen for His voice. Being intentional with your prayer time about finding God’s purpose for you may be the most important and revealing part of your journey. 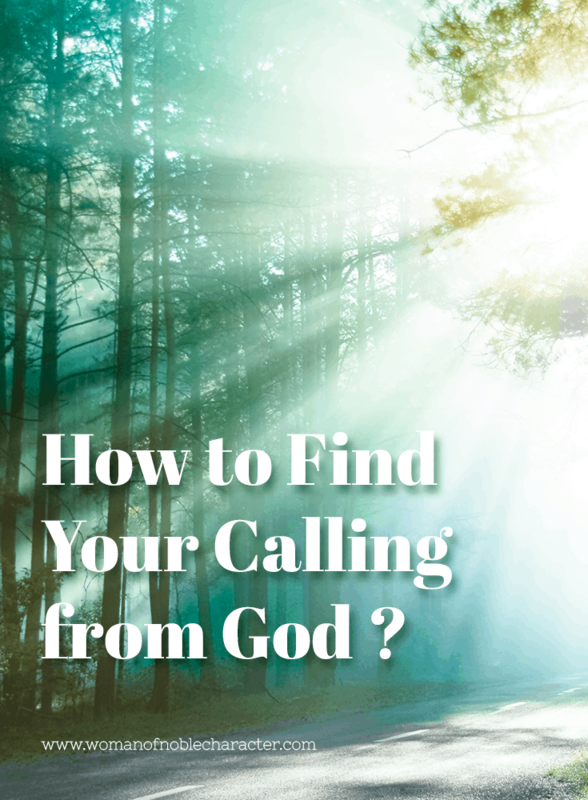 While I’ve shared several steps on finding your calling from God, I have come across a few additional resources that I’d like to share with you. As you go through the process of prayerfully learning the purpose that God has for you, you may wish to consider one of the below resources to aid you. The S.H.A.P.E Test (Spiritual Gifts, Heart, Abilities, Personality, Experiences) will help you get a clearer picture of God’s calling in your life. Pray that God will transform your desires so that they are pleasing to Him. Lord, I surrender my life and everything in it to you. I want to do something with my life, something significant. I try to do this myself, but Father, I know that I can’t do this on my own, with my own strength. I know that without you, I can do nothing. I know my talents, my gifts are not my own. They have been given to me by you and for you to work through me. Abba, I am so thankful for this life that you have given me. You’ve blessed me with unique talents and gifts. Help me understand how to nurture and use these gifts and talents to bring glory to You. Adonai, please take my hands and feet and show me how to use them to expand Your Kingdom. Bless my choices in vocation and ministry. Transform the desires of my heart and purify them so that they are pleasing to you. Help to to see through Your eyes and love others as You love us. No matter what I face each day, Lord, allow me to hear Your Call and seek You always. Amen. Listen, friend. God may not reveal your calling today or tomorrow or even next week. But, if you earnestly seek Him and try to look at the world through His eyes, you will find your calling. Need to reignite your passion for your purpose? 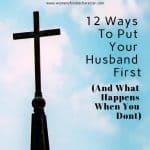 You’ll love this post by Natalie Venegas. As always, friends, I’m praying for you! God has plans for us! We only need to pray and seek His will. Thank you for stopping by!